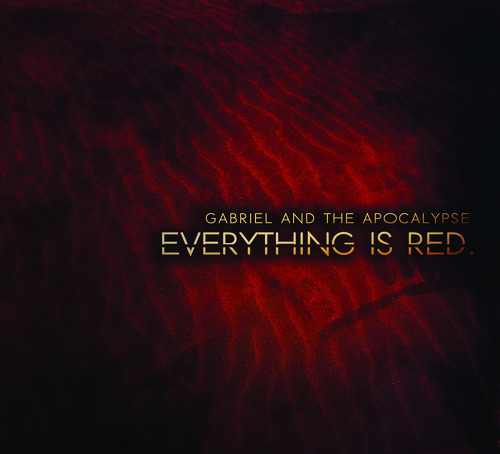 Welcome to the new Gabriel and the Apocalypse official website! The first stop for the latest updates, new music, tour announcements and everything GATA. There are many exciting things in the works for the near future and we look forward to sharing our work with you all. In the meantime, take a look around the site listen to music, watch videos, stop at the online GATA shop and catch us live for our last round of shows for the year. As some of you may know or may not know, we’ve been tucked away for the last few weeks with our good friend Wally Joesph, working on some new songs for our upcoming release. While we still have a ton of woodshedding to do on these tunes, we are very excited and inspired with how these are turning out. We seriously can’t wait until we are able to give you guys a sneak peek! With that being said, we we wanted to find a way to give you something special to tie you over into 2014 until the new EP is finished..
Order a shirt from our Online Store before the new year, and we will email you a FREE digital download of the never-before-released “New Tomorrow EP”. 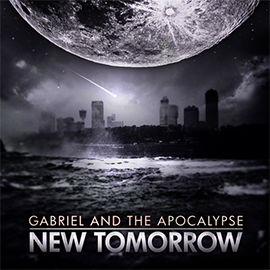 The “New Tomorrow EP” is a collection of LIVE professionally recorded songs taken from our performance at First Avenue on the last of night the SHOOT TOUR! We will personally e-mail a link to the download on January 1st! Happy Holidays and we’ll see you in 2014! Keep your eyes posted on our Official Website, Facebook, and Twitter, we have a lot of new stuff coming your way! !